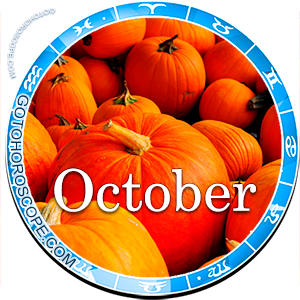 October 2014 Horoscope Cancer, free Monthly Horoscope for October 2014 and Cancer Astrology Forecast for the month ahead. 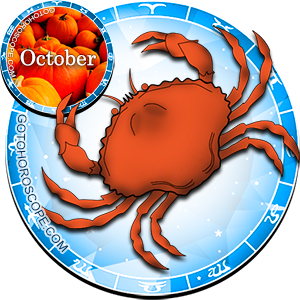 For the zodiac sign of Cancer, the second month of fall 2014 may not become the most positive of life's stages. The reason for that is the definitely charged energetic situation, defined by two planets aggressive towards this house being significantly empowered by general combinations. Mars, responsible for the "fall" of Cancer, will focus waves of active negative energy on the "love front", as a result of which the Cancer may experience problems with loved ones and friends. Saturn, responsible for the "expulsion" of Cancer, will distribute his negative emanations much more evenly, on one side strengthening Mars, while on the other - adding complications on the work front. Jupiter, the planet-exalt of Cancer, will not turn away from his protege during this period, but will not risk fully supporting it either. As a result, the absolute allies of Cancer include only the Moon, his planet-ruler, and Venus, the "celestial leader" of the Water trigon. The sum positive energy of these planets of the Solar System will be strong enough, which is a guarantee of a possibility of a positive outcome of any potentially negative situation. 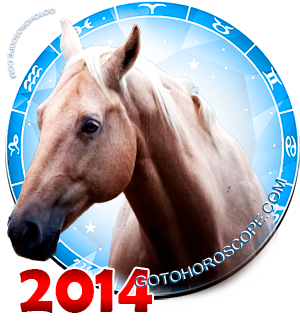 In terms of the work direction, October 2014 will bring plenty of complications to Cancers. While if you are not prepared for the uncompromising battle with circumstances and are not used to letting go of planned foals you do not have much hope for success, perhaps luck will smile towards you. Yes, a lot depends precisely on luck here. The stellar emanations will mostly compensate for each other. It is likely that as a result you will receive more negativity than positivity, which will justify the more or less unstable situation at your work desk. There will be times where you will be on top of the wave, diving deep into the very heart of the battle and snatching victory straight out your enemies' hands. However, you will more frequently encounter ambiguous situations, which may turn into massive problems. Collect yourself and under no circumstances allow doubt to creep in. A lot depends not only on luck, but also on your ability to convince and overall make connections with people. Communication is your main weapon throughout the upcoming period. Use the advantages of this situation as much as possible, when the lion's share of issues will be solved by words, not actions. The love front is unlikely to surprise you with anything, even though you will not be ready for such a sharp turn of events that will occur. Currently you may expect a very deep and serious conflict with your close ones. The reason behind it is that you have known about some problem for a long time, but have not decided how to approach it yet. Now the time when it could all be mitigated peacefully has passed. The only thing left to do is to cut through the problem. This will be very painful and some scars will never heal. However, they will always be there to remind you why you should not prolong solving problems. Everything has its time and if you do not have the ability to approach the issue form the side desired right now, this does not mean that this possibility will ever arise in the future. If you do not take circumstances into your own hands, then they will take you into theirs. Then... then exactly what will occur in October 2014 will occur. The stars recommend that you do not accept everything with a stone face, proudly staring into the danger's face, but become a part of the solution as soon as possible. Sincerely apologize to those that you have something to apologize for. Yet do not even hope for quick forgiveness. Some wounds heal for a long time and during these days it is important not to administer new ones. This is so true. The last few years for me have been terrible. I have had conflict after conflict with people/work/life in general. It seems no matter how hard I tried things always go wrong in the most complicated way. Will things for cancer really get better? I have lost hope. Can anyone stop the Day after a dark night? Life is a Rotating Wheel: Day - Night - Day - Night and so on. Friends, Have patience. It is said that we give up at the doorstep of the success. The worst is over, and best is just a step away. January 2015 onwards a better period starts, but the real experience will be felt between March 2015 and June 2015. Thereafter reap the fruits which the you have sowed during the last 8-10 years. I am a cancer . I lost my job due this bad phase. Its true . I am un empoyed now . Only God knows what will happen and when will happen . Hope this bad phase of my life moves away . Dear Cancerian, all things change don't give up hope do your best and believe it will all be Ok. This is the most least hopeful,most negative and depressing horoscope i've ever read! Cancer has had a VERY tough last 5 Years. WTH? just seems no matter what we do we are doomed to this kind of reading. This is a strong but real horoscope, it's happening with a friend of mine that is cancer. I agree w/ y'all how depressin!! ...this is not how u talk to a cancer!! Well I enjoy its my daughters..